International efforts to help Haiti recover are still gaining pace as the World Food Programme distributes about 680 tonnes of food each day. But aid agencies believe that 10 per cent of the donations are being sold on the black markets in Haiti - including donated second-hand clothes and aid items meant to be distributed for free. As a result, food prices, including those of rice, have doubled. Indeed, the economic situation is so difficult that a lot of donations are not reaching their destinations. 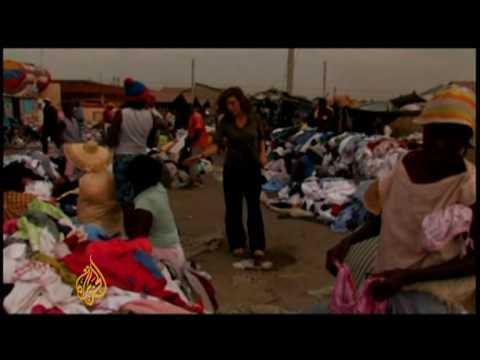 Al Jazeera's Monica Villamizar reports from Port-au-Prince.